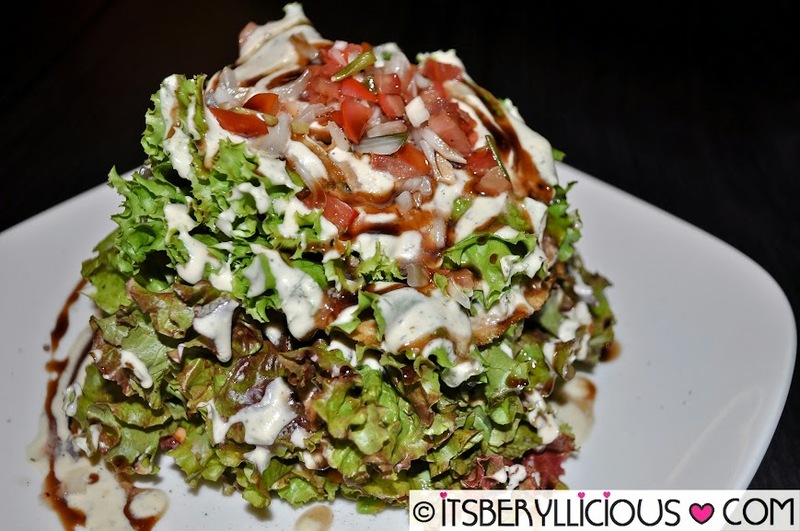 I am officially in love with D' Amburger's Smoked Salmon Stack Salad (P266)- layers of fresh lettuce, smoked salmon, parmesan discs, tomato salsa, dill cream and balsamic dressing. The proper way of enjoying this salad is by cutting through the stack rather than eating it by layers. I was really impressed with its overall presentation that looks like a constructed tower of greens with salmon surprise on every layer. A must-try!!! 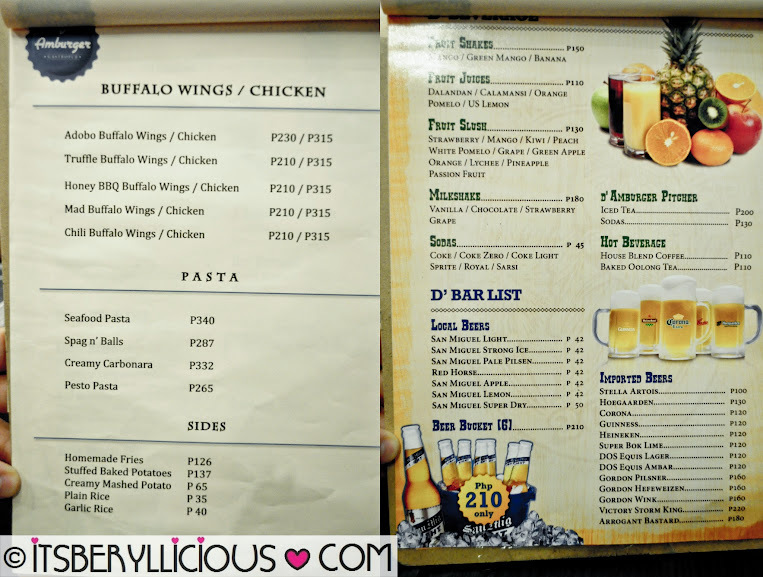 You all know by now how much I love buffalo wings.. and D' Amburger hit my soft spot with a parade of their buffalo wings and chicken. There are a total of 5 flavors, and after 2 visits, I was able to try 4. Doesn't look like adobo right? 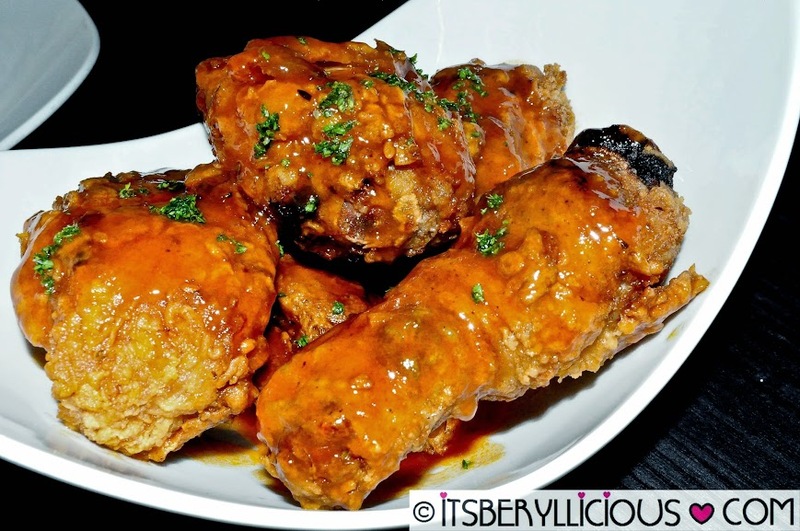 But a subtle hint of adobo flavor is there underneath those crunchy and crispy skin. 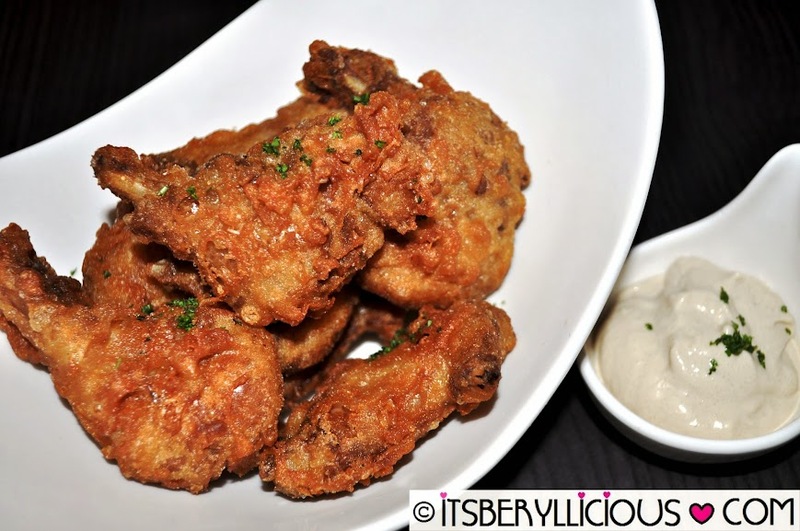 It also comes with a special creamy dip on the side to complement the adobo wings. One may also opt for buffalo chicken instead of wings at an additional price. Their Truffle Buffalo Chicken tossed in butter and Frank's hot sauce was big, crispy and juicy with just a subtle kick of spice. Our personal favorite. 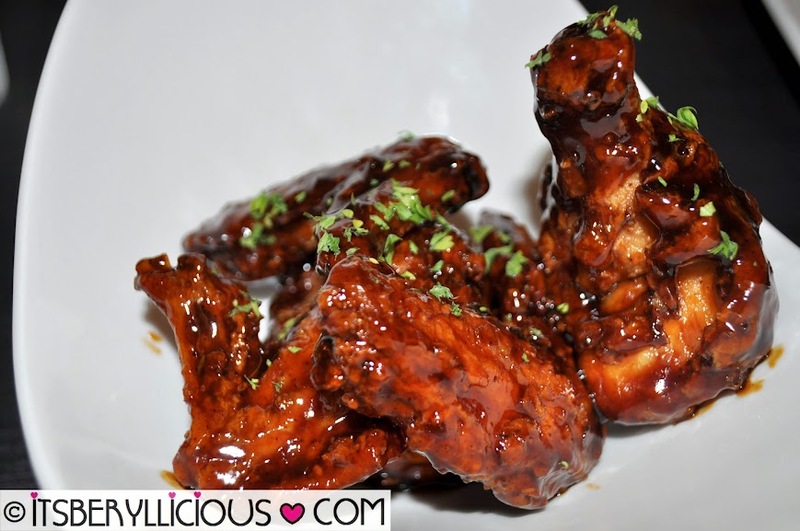 Since D and I love anything with bbq sauce, the Honey BBQ Wings won us over. Honestly, it is just your typical sweet and savory bbq coated wings, but it was classic and we both loved it to the bones. Our least favorite. 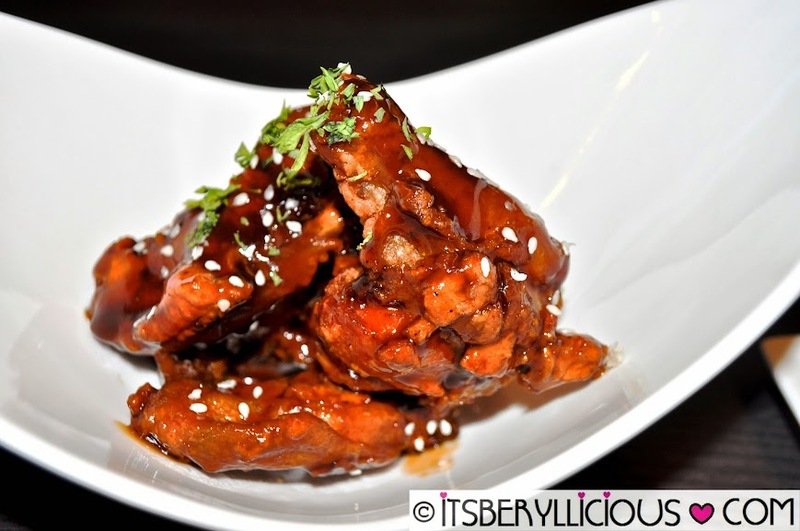 The Mad Buffalo Wings is their take on the Korean-style wings with Asian spices and touch of sesame seeds. It was pretty okay but then the flavors were kinda short of our expectations. 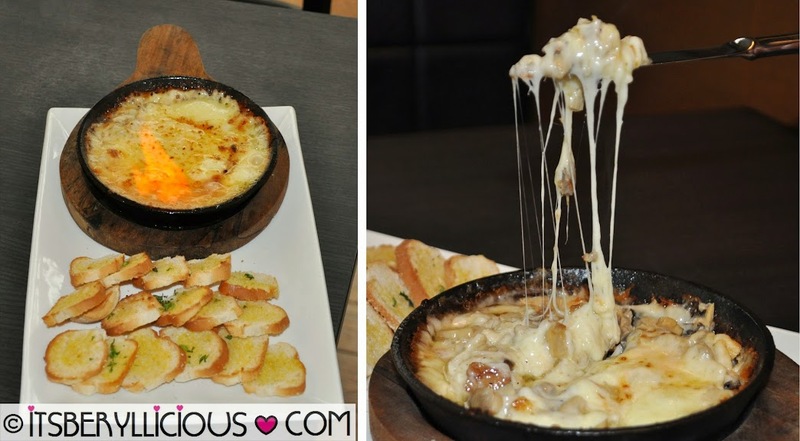 For cheese lovers, you should not miss the Flaming Shrooms and Cheese flambéed on the spot. 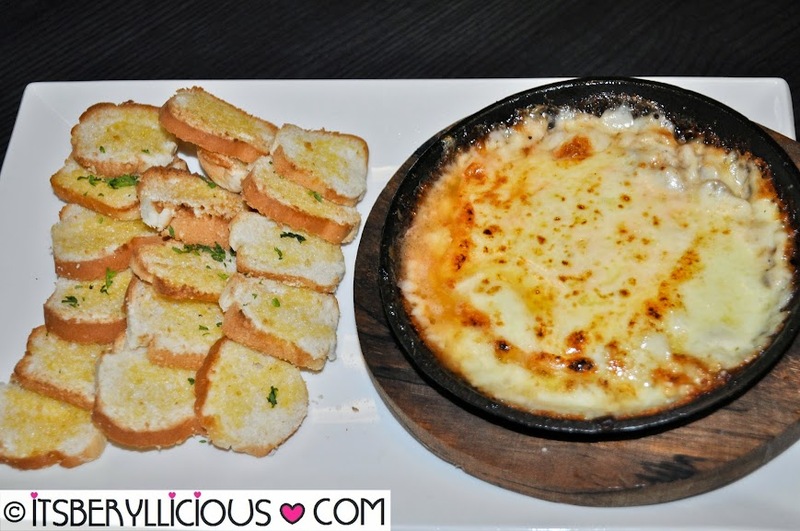 An order also comes with a generous amount of toasted bread slices, just enough for the cheese dip. But if there's one menu item that D' Amburger Gastropub is famous for, it is their Juicy Lucy burgers. Dubbing themselves as the "Home of the Original Stuffed Cheeseburgers (Juicy Lucy)", Amburger started out as a small stall in Banchetto, and eventually expanded to what it is now. 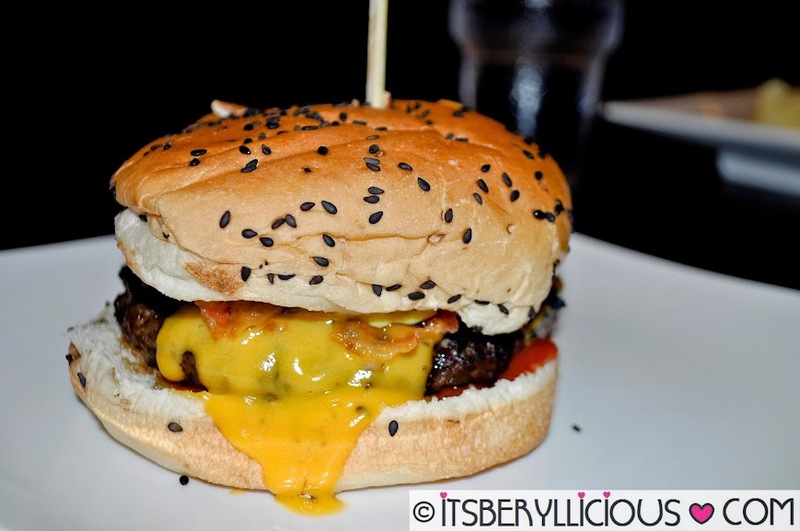 Their Juicy Lucy burger is made with 100% pure beef patty with a gooey mozarella surprise. Their Juicy Lucy BMM is basically their regular burger with an additional bacon, mushroom and cheese in a sesame bun. 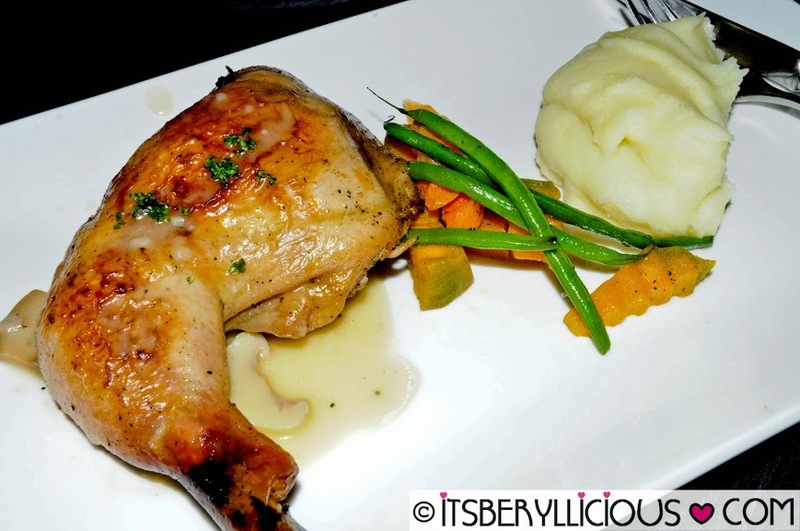 Other than burgers and wings, D' Amburger also have affordable main dishes that you could enjoy like this Roasted Chicken (P170) and Salisbury Steak (P180). 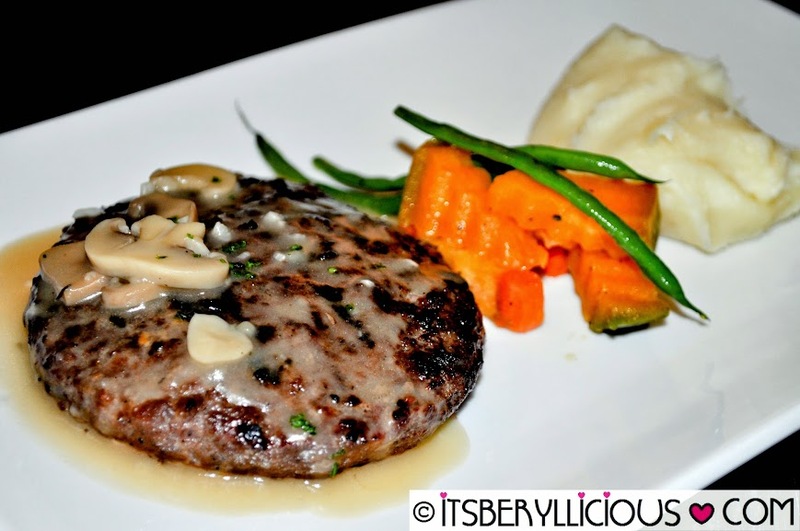 It is served with mixed veggies and your choice of starch (mashed potatoes, plain rice, garlic rice). 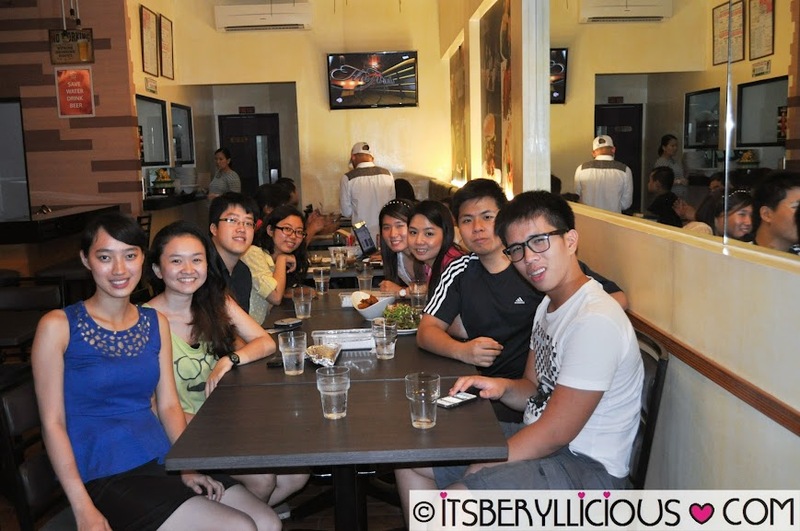 I've never really gotten a chance to check out gastronomic spots at Greenhills. Ah well, as soon as I get the time, I'll go check out Little Baguio, also in SJ. Have you already been there? I love Amburger's Juicy Lucy. Tried this when they were still selling at Il Mercanti. Will visit their resto soon! Armageddon is really, really good. Just get prepared to not feel your mouth and lips for a couple of minutes afterwards. Recently, a friend told me they now have even spicier than Armageddon, called "Gangnam Style." I'm yet to confirm that! OMG! Juicy Lucy is calling my name so freakishly loud! 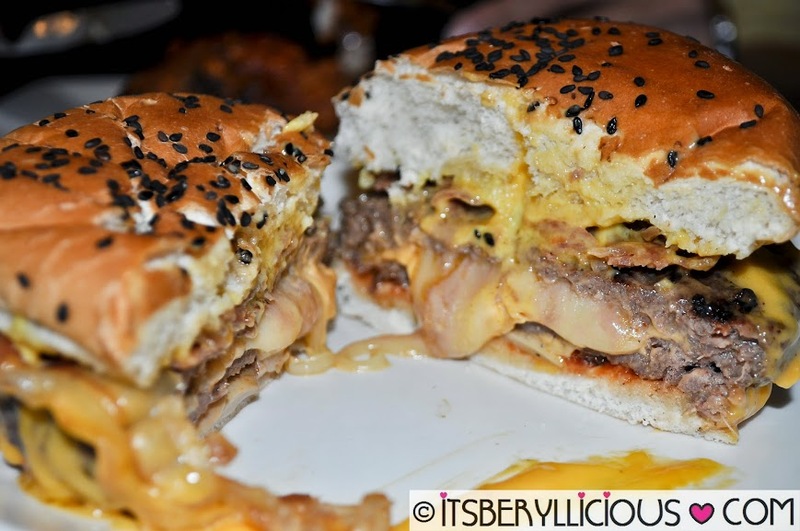 Heard of Juicy Lucy at one of my fave movie, 50 First dates. i would love to try everything. most especially the burger -- my all time favorite. Wow. That is a nice idea of stacking the lettuce. Would love to try everything especially the flaming shrooms and cheese! The way I read your post on this food from D Amburger seems to depict that you're a gourmet, You frequent this place just to get rid of all the foods here. You keep on mentioning buffalo here, but it all refers to a chicken. I thought it is a meat of a buffalo. I was mistaken. We're also a big fan of Buffalo Wings! Apir! The Adobo and Honey BBQ variety looks fantastic. The salad looks really impressive! I've never seen anything like it. 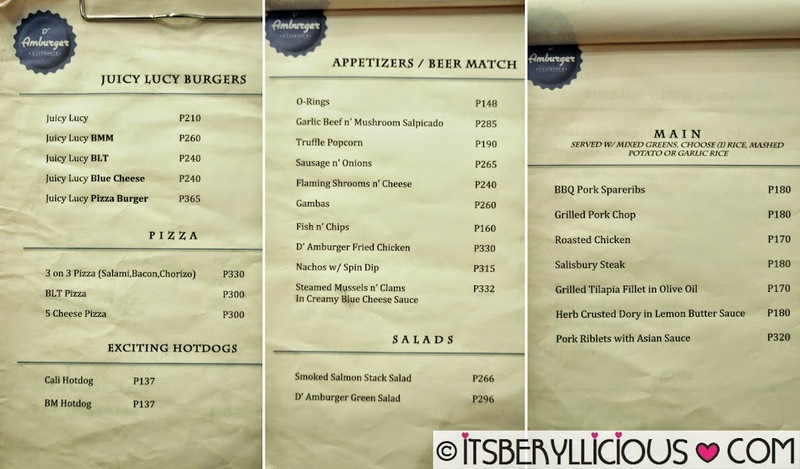 I'll be on the lookout for this resto when I'm in the area.